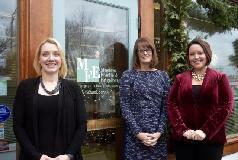 MASTERS, FOWLIE & ENGELBERG, CPAS, PA has had a presence in the mid-coast area since 1977. With founding partner, Richard N. Simoneau, CPA, retiring in the early 2000s and partner, Dennis E. Norton, CPA/ABV retiring in December 2017, the firm continues on as Marianne Masters, CPA, a partner since 2005 is joined by longtime employees now partners, Rachel M. Fowlie, CPA and Gina N. Engelberg, CPA to make up the new company. The firm's ongoing objective is to provide high quality accounting and review, tax and other consulting services, business valuations, cash flow analysis, budgeting, litigation support, and estate and tax planning. We are committed to grow with the mid-coast area. Our mission is to help clients maintain financial viability in the present, while taking a proactive approach to achieve future goals. This requires open communication to reach an understanding of our clients' needs through research and sound analysis. Masters, Fowlie & Engelberg, CPAs is dedicated to meeting these goals with high standards of excellence and professionalism. We have been a staple of the area's business community for years, and pride ourselves on the level of esteem we have earned. Our dedication to hard work has earned the respect of the business and financial community in and around the area. We believe this to be a direct derivative of our talent and responsiveness to our client base. Whether you are a current or prospective client, rest assured that individuals and businesses who choose Masters, Fowlie & Engelberg, CPAs receive competent and timely advice. 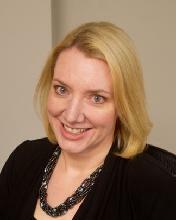 Marianne is the Managing Partner of the firm and is responsible for all compilation and review engagements. Her experience enables her to supervise these engagements and to produce a quality product at affordable prices for our clients. She is experienced with small manufacturing and construction companies, the hospitality industry, and non-profit organizations. Under Marianne's direction, the firm has received unqualified opinions with no letter of comments in our triennial Peer Reviews. Rachel is a graduate of the University of Maine with a Masters Degree in Accounting. She prepares business and individual income tax returns; compiled and reviewed financial statements; provides clients with QuickBooks training; and many other accounting and tax services. 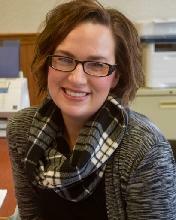 A previous board member of New Hope for Woman, Rachel is a Notary Public and provides those services to our clients. 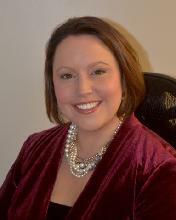 Rachel is also a member of the American Institute of Certified Public Accountants and the Maine Society of CPAs. She lives with her son, Clayton. and daughter Scarlett. Gina is a graduate of Husson College. 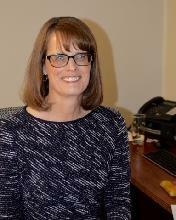 She is a member of the American Institute of Certified Public Accountants and the Maine Society of CPAs. She prepares business and individual tax returns specializeing in multi-state issues and tax law. Gina provides assistance with QuickBooks. Gina lives in Owls Head with her husband, Rob, and daughter, Bella. Cindy prepares tax returns for businesss and individuals, as well as compiled and reviewed financial statements. 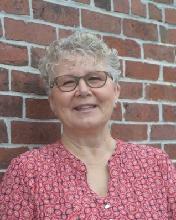 She has many years of bookkeeping experience for small corporations and sole proprietors. She provides QuickBooks training. Cindy resides in Hope with her husband, Joe. Jill has an Associate Degree from the University of Maine-Augusta. Since 1987, she has provided assistance to the partners, staff and clients of the firm. Jill lives in South Thomaston with her husband, Roger, and son, Liam. 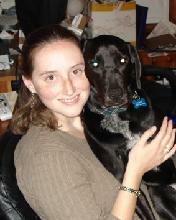 Ashly is a graduate of the University of Maine-Augusta with a Bachelor's Degree in Liberal Studies. She performs various administrative duties and is our front desk presence. Ashly is a Notary Public, and is knowledgeable in Quickbooks as well. Ashly resides in the Tenants Harbor area with her husband, Shane, son Shane and daughter Isla. Tara is a staff accountant who prepares both business and personal tax returns. She is a founding member of the dog rescue organization, Underhound Railroad, and fosters many dogs in her spare time.